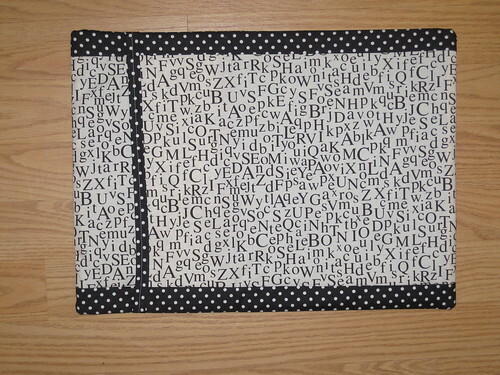 and made it into a 12"x16" pillow. 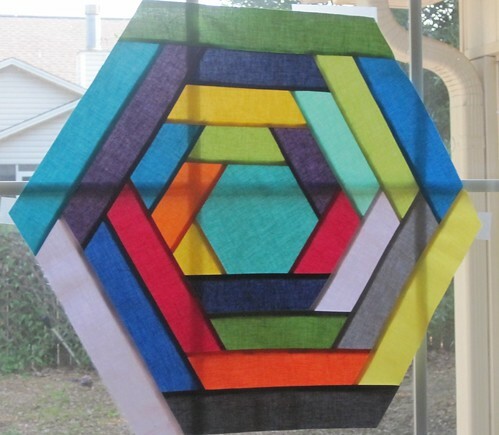 I originally started this experiment because I thought I wanted to do a hexagon pillow for Pillow Talk Swap 5, but I changed my mind (see previous post for what I did make). This has been up on my design wall begging me to make something with it so I cut it down, added some borders, quilted the dickens out of it, and made a pillow. I'll admit, I was nervous about cutting it. I loved it they way it was! Between the solids, straight-line quilting, and black and white fabrics, this is WAY out of the norm for me. I guess it is colorful, which I like. I'm not sure what to do with it yet. If my mom likes it, I'll give it to her (hi mom! I know you read all my blog posts even though you don't understand some of it! ha ha! ), or I may list it on etsy, or I may swap it. I don't know. Sometimes it's fun to just create for sake of creating! I love your pillow and I love that you did it just because. I think that can be great therapy sometimes! This looks awesome! It would make a cool wall hanging. I love, love, love it! 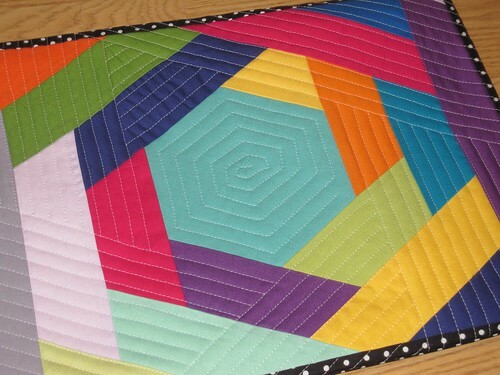 I like it was just a giant hexagon, but the quilting is the icing on the cake. 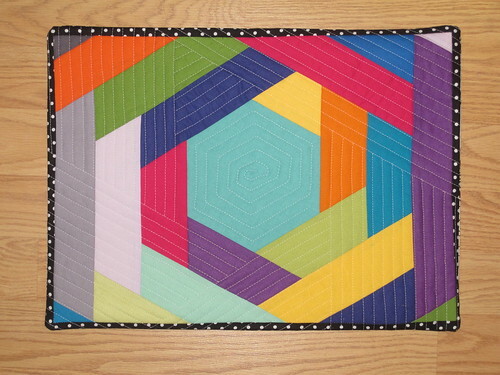 I love solid color quilts. Fantastic job! I love it!! Great work! !